An obi is so versatile. They can be used as a table runner, a wall hanging, cushion covers, place mats, or runners over chests, draped over a curtain rod or as a sash. 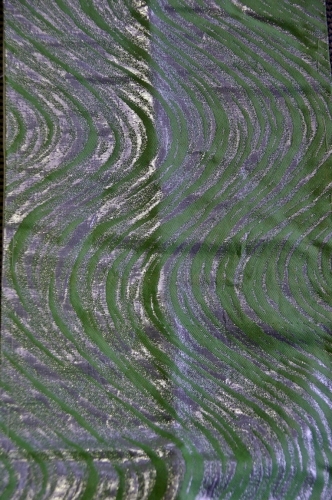 Maru Obi - The maru obi is the most formal and expensive obi, with both sides fully patterned along its length. 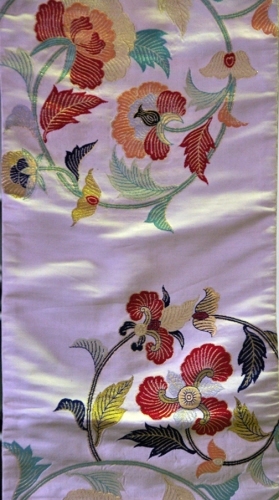 The classic maru obi measures about 30cm wide, however, narrower maru obi were also custom made. 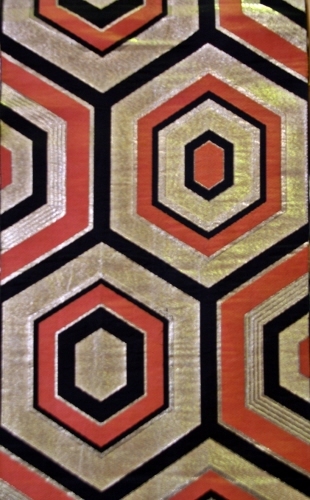 The Maru obi is normally made of ornately designed silk brocade or tapestry, which are often lavishly decorated with gold thread. They were very popular during the Meiji and Taisho eras (1868-1926). However, as they are very expensive and uncomfortably heavy, they are rarely worn today aside from weddings and very formal occasions. 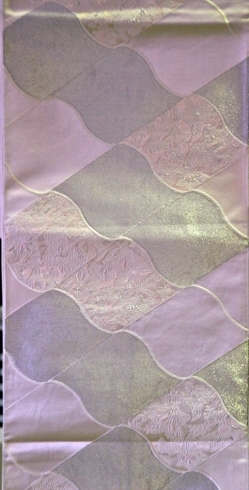 The Maru obi is the most versatile obi when it comes to decorating. 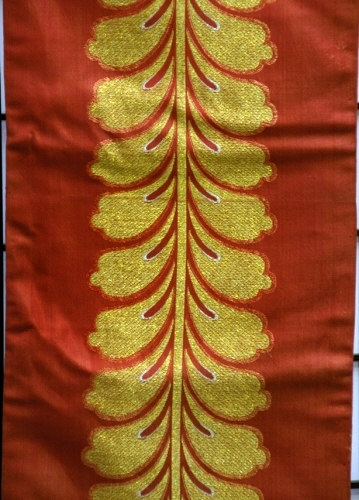 They make fabulous runners, wall hangings, pillow/cushion covers …etc. 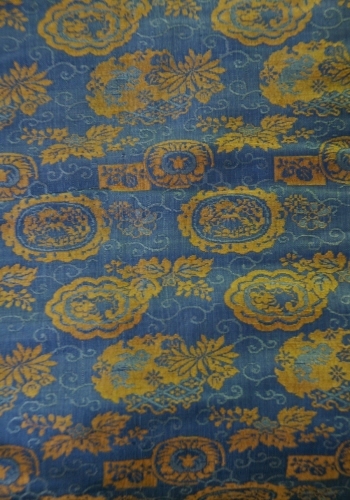 And can be unpicked along the seam to make into a continuous pattern of double the width. Fukuro Obi - The fukuro obi is less formal than the maru obi. The fukuro obi was created in the Showa Period (late 1920's). 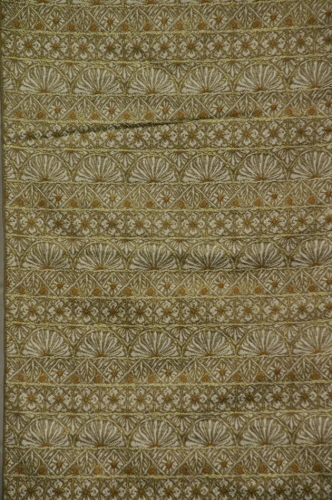 The fukuro obi is made with a fine brocade or tapestry, which is patterned along at least 60% of its length on one side. The back of the fukuro obi is often lined with a plain silk or brocade, making it less expensive and less bulky to wear than the maru obi. The fukuro obi can hardly be distinguished from maru obi when worn and today is commonly worn on formal occasions. 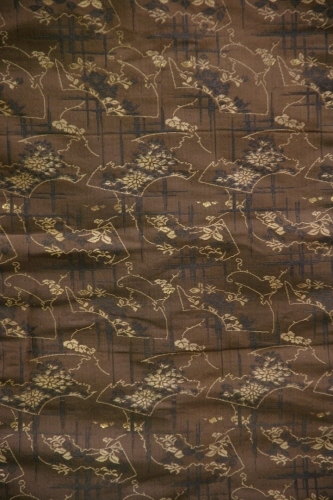 Nagoya Obi - First produced in Nagoya at the end of the Taisho era (1912-26) the Nagoya obi is the most suitable for Japanese women today as it is lighter, cheaper and easier to wear than formal obi. 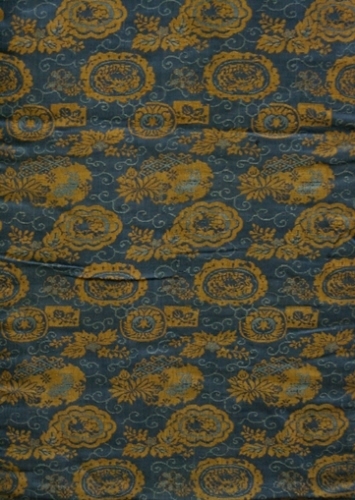 It is characterised by a large portion (60-80%) of the obi being folded and stitched in half. 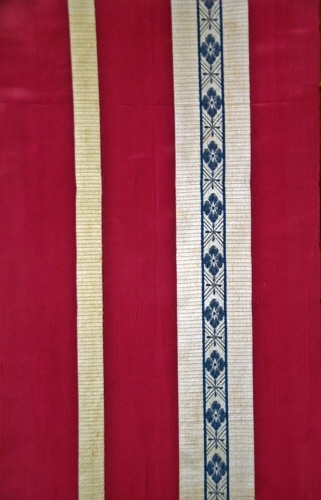 The narrow part wraps around the waist, while the wider part forms the bow of the obi tie. 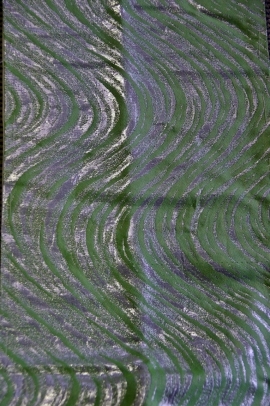 When worn, a Nagoya obi is tied with a single fold, while a maru or a fukuro obi uses a double fold. Nagoya obi can be used in a similar fashion as other obi because the narrow portion can be unpicked and opened to reveal the entire pattern. 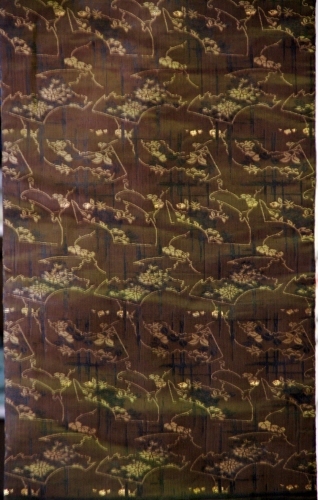 Photos are of the repeat in each design and are the full width of the obi. 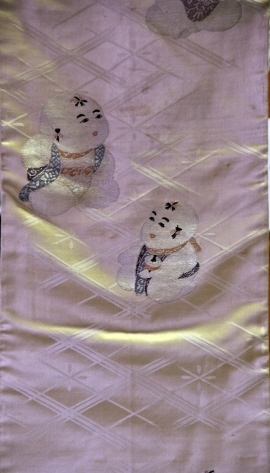 Click on more details to view more images of each Obi. Domestic obi shipping is done with courier satchels and charged at $13.85 (up to 20m of material nationwide).